« Homepage / Persons / "Matthias Göring"
Matthias Göring obtained a doctorate in law in 1900, and then a doctorate of medicine in Bonn in 1907 and specializes in neurology and Psychiatry. He moved to Elberfeld in 1923 and began a training analysis with Leonhard Seif (psychotherapist adlerien) in Munich. 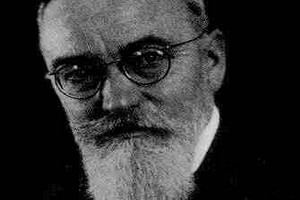 In 1928, it puts in place a service of psychotherapeutic consultations at Elberfeld, and a year later, he founded in Wuppertal a psychoanalytic working group. Göring is critical as the materialism and the importance given to child sexuality as well as the unconscious in the Freudian theory. It incorporates the principles of the psychology of Adler, and their Assistant the importance of the Christian faith and of German patriotism. Cousin of Hermann Göring nazi politician, he joined the nazi party in 1933. On September 15, 1933, it takes the General society German of psychotherapeutic medicine (Deutsche allgemeine ärztliche Gesellschaft für Psychotherapie (DAÄGP)), a National Socialist orientation physicians Foundation, which registered the allegiance to the “Führer” in its articles. In 1936 he became head of the Institute of German research in psychology and psychotherapy (Deutsches Institut für psychologische Forschung und Psychotherapie), known under the name of Institute Göring. It then replaces the Arthur Kronfeld by Carl Gustav Jung editor who has accepted this task ruthlessly. Göring militates against the “Jewish psychoanalysis” and organizes the exclusion of Jewish psychoanalysts of his company and his Institute. In 1938, he oversees the dissolution of the German psychoanalytic society and of the Vienna psychoanalytic society. The position of Göring on Freudian theories nonetheless remained ambiguous, as he continued to collaborate with a few non-Jewish psychoanalysts as August Aichhorn, but especially with psychotherapists as Harald Schultz-Hencke, Felix Boehm, Carl Müller-Braunschweig all openly against the Freudian theories in his Institute. His wife Erna Göring was in analysis with Werner Kemper, and his son Ernst Göring was a didactic analysis with Carl Müller-Braunschweig. Göring directed the Institute until 1945. That year, he was arrested, imprisoned and died in captivity.